POSITIVE LIVING – URGENT HIRING! * Male/Female; Atleast College Level or High School graduate with related sales experienced. 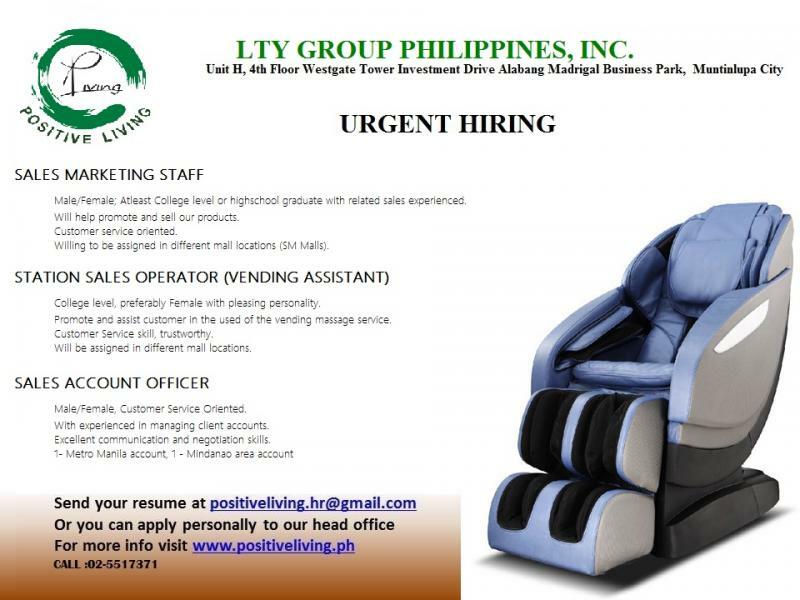 *Promote and Assist customer in the used of the vending massage service. *Will be assigned in different mall locations. *Male/Female, Customer service oriented with experienced in Managing Client accounts.